FC Platinum were knocked out of the CAF Champions League after losing 5-1 on aggregate to Angolan side Clube Desportivo Primeiro de Agosto. The Zimbabwe champions were trailing 3-0 ahead of the second leg preliminary encounter played at Mandava Stadium on Wednesday afternoon. They failed to overturn the deficit as they suffered a 1-2 home loss. The visitors created two early opportunities, but the efforts went off target. Pure Platinum Play only made their first meaningful chance after the quarter hour mark when Winston Mhango’s long-range strike was saved by the keeper. Mkhokheli Dube and Rodwell Chinyengetere followed up with two efforts a few moments later but went wide. Marshall Mudehwe also had a chance, but he sent his shot over from point blank. Coach Norman Mapeza made his first change of the game in the 36th minute when Charles Sibanda came on for Never Tigere. The substitution quickly made an impact as they continue to mount the pressure. The teams went to half time with no goals scored. Nonetheless, Bokampo’s deflected shot broke the deadlock in the 55th minute before the home team equalised ten minutes later through Rodwell Chinyengetere. 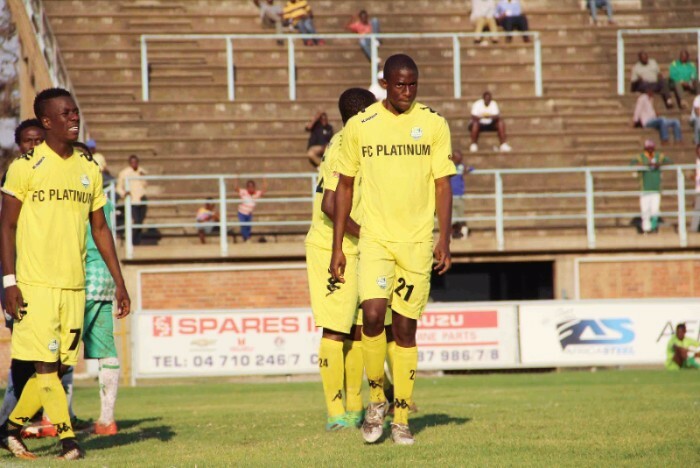 FC Platinum started to pile pressure in search of a second goal, but they conceded another one in the added time when Jacques found the back of the net. The match ended 2-1 in favour of the visiting team, and they will play Bidvest Wits of South Africa in the first round of the competition.